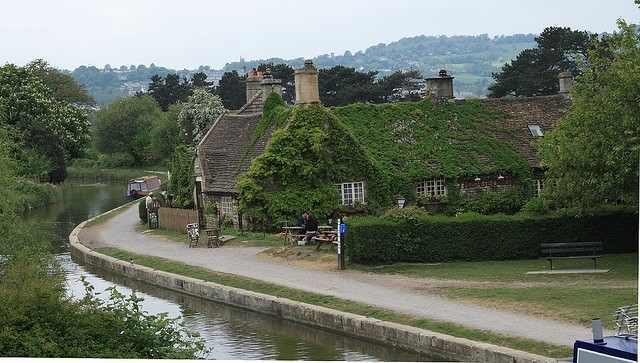 Debbie, the new landlady of the canalside George Inn, Bathampton, is holding a Welcome Evening at the pub tomorrow (21st February 2018)from 7pm and would like to invite boaters. Debbie’s aim is to make the pub an inclusive and community focused space for villagers and boaters alike. One of the first things she has done has been to ask for the parking meters to be removed. The pub is now dog friendly as well. Boaters are welcome to come on the 21st and meet her and the other new staff and the villagers of Bathampton. Do chat to Debbie if you want to find out more about parking, putting on gigs and other events. She is looking for more ideas for community events so this could be our chance to hold floating markets, fetes, singing and more. This entry was posted on Tuesday, February 20th, 2018 at 10:38 pm	and is filed under Community. You can follow any responses to this entry through the RSS 2.0 feed. You can skip to the end and leave a response. Pinging is currently not allowed.